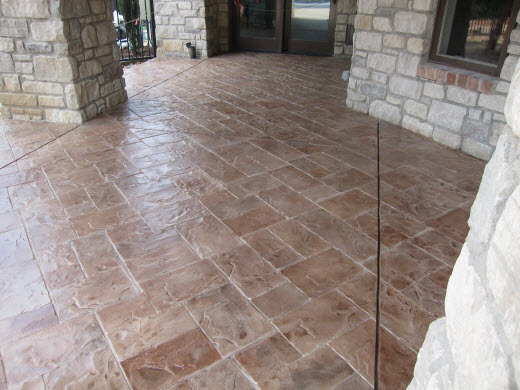 Stamped concrete overlays are a popular choice for residential and commercial clients because it is a high quality but less expensive option. 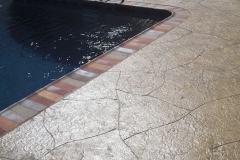 20 years of decorative concrete business taught us the virtue of tackling remodeling projects in the smoothest and most efficient way possible. 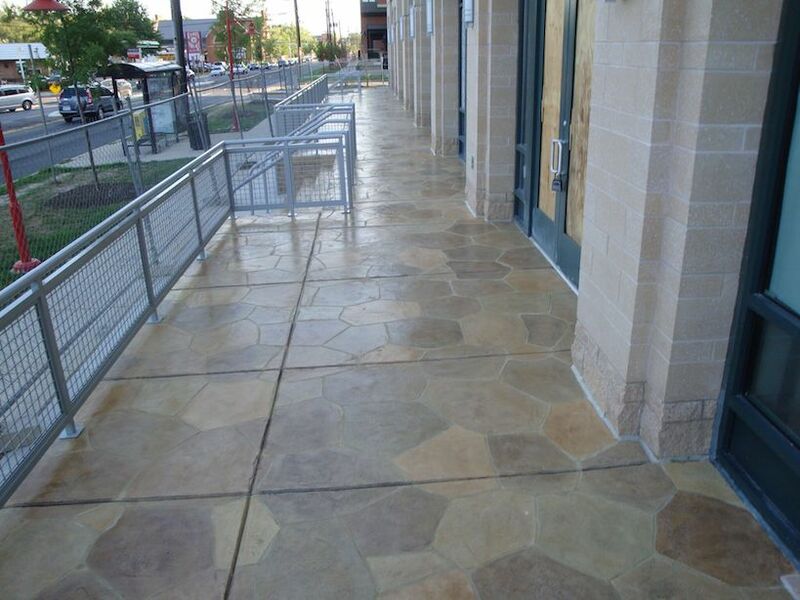 Starting from the point of client inquiry all the way to completing the project, the installation team at Dallas Concrete Artisans was trained to be skilled and knowledgeable concrete resurfacing experts. 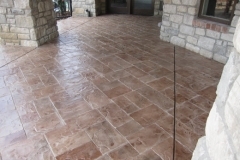 It is quite common for people to get confused when it comes to the difference between stamped overlays and stamped concrete. They are almost the same except for one slight difference. 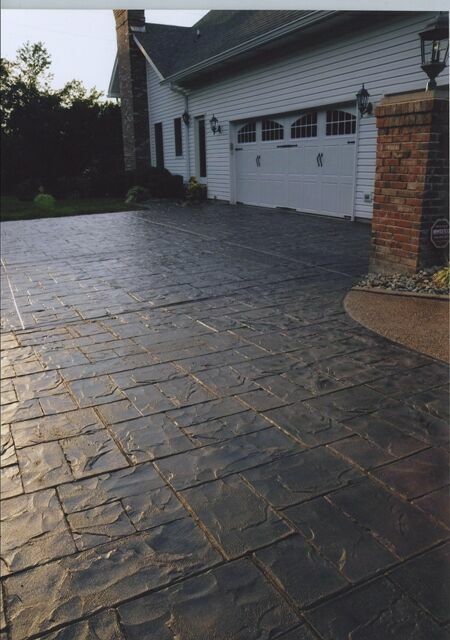 Stamped concrete and stamped overlay are both very decorative and both can be stamped or imprinted to imitate patterns and designs. 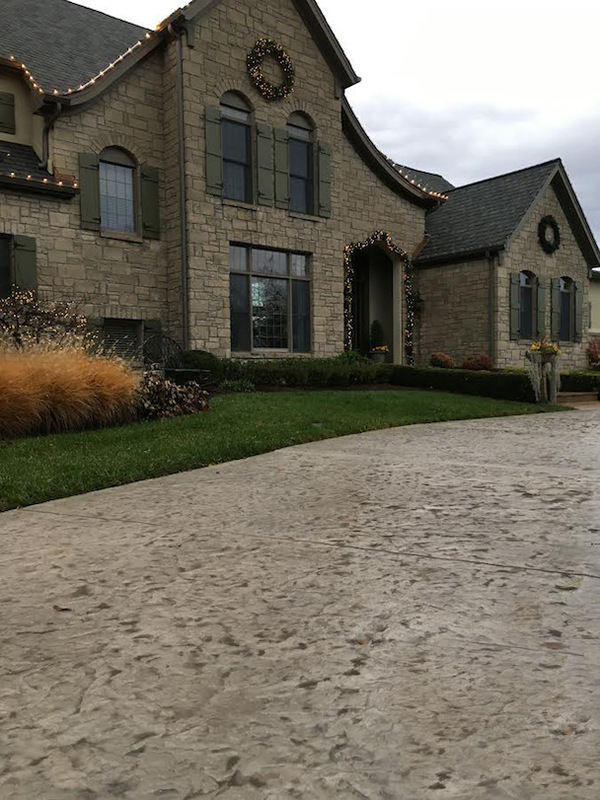 The slight difference is that overlays are meant to be installed on top of existing concrete surfaces whereas traditional stamped concrete is installed at the time a newly poured concrete slab is poured. 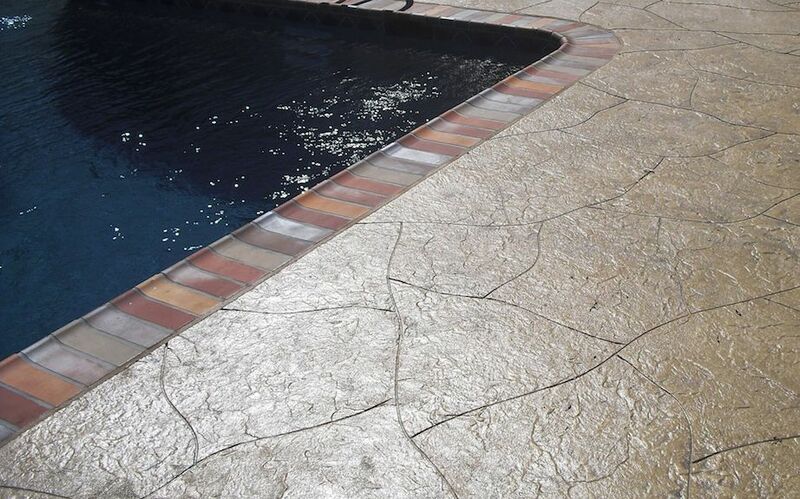 So if you are pouring a brand new patios, pool deck, driveway or other concrete surface and you would like the look of natural stone without the big cost then you would want to install stamped concrete. 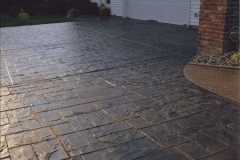 However, if you have an existing concrete driveway, patio or pool deck and like the stamped look then it will save you a lot of money if you install a stamped concrete overlay so you don’t have to tear out and replace your existing concrete surface. 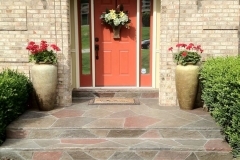 Stamp concrete overlays are often used for outdoor spaces like the patios, driveways or concrete pool deck but it can also be used indoors. Feel free to ask us , we are here to help. 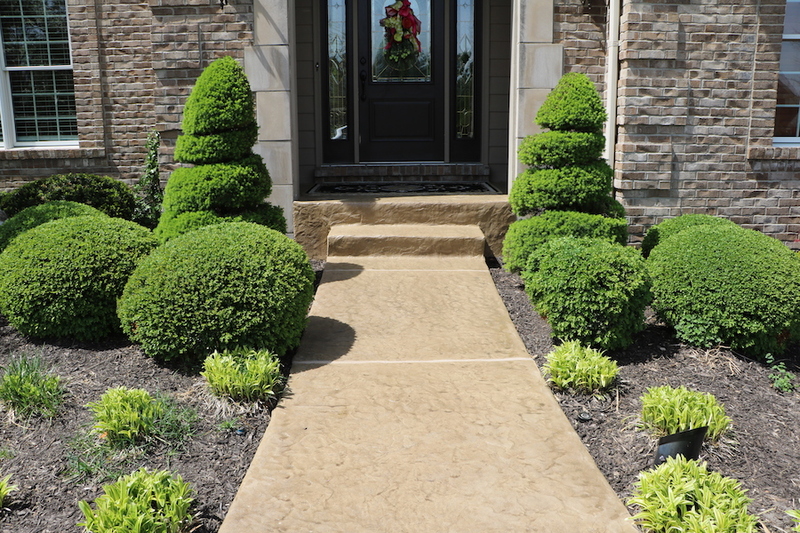 Call (972) 885-6067 now. 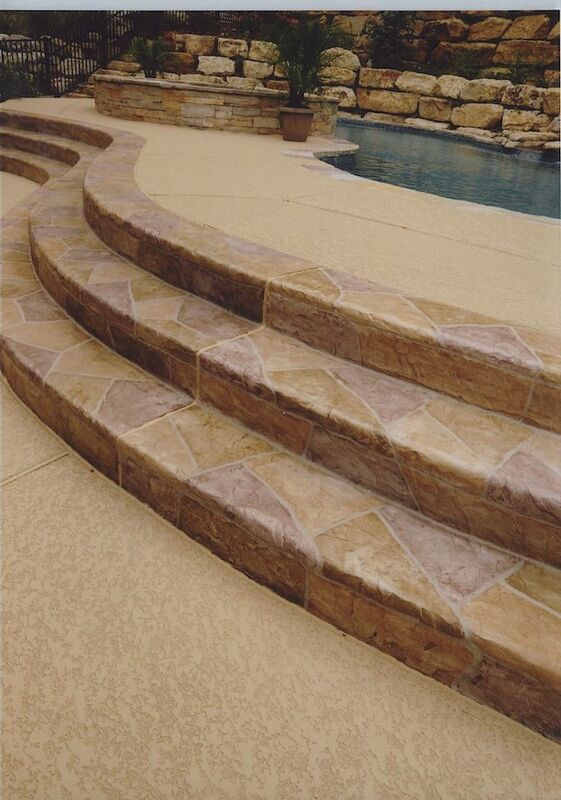 Residential and commercial property owners deserve only the best solutions to enhance their concrete spaces. 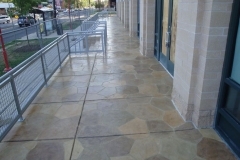 With 20 years of experience to back us up, Dallas Concrete Artisans has become well-versed in stamp overlay installation. 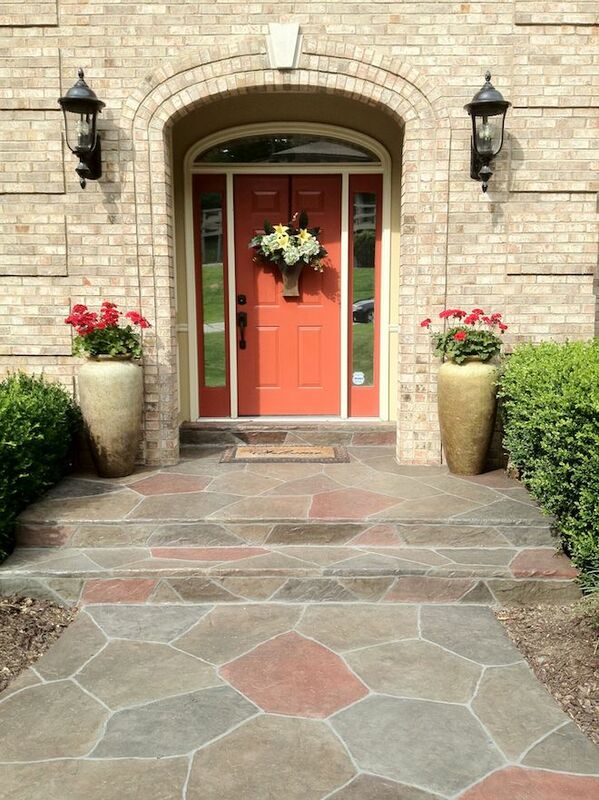 We take pride in our work. 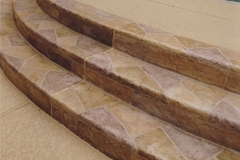 We are very detail-oriented, making sure every inch is installed impeccably.